Shadow getting ready to peek around a corner..."
Commission for Goozulgah based on his awesome fanfic! Looking good and ready to rock. Cool armors, knives and guns... Awesomeness! Im overwhelmed in the epicness! Oh my god! That is awesome! You know I'm telling the truth because I spelled out OMG. So cool, I really love this. The person who wanted this is very lucky. 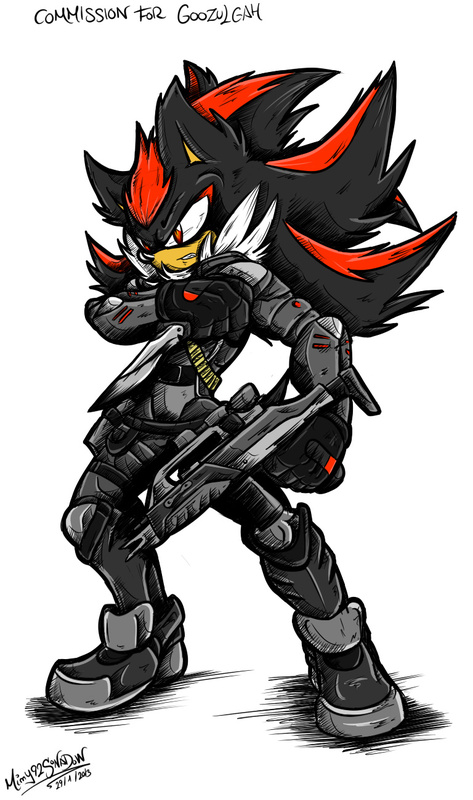 :D I do think Shadow would wear body armor at one point.